According to the latest TDS stats, property damage is becoming a growing problem for landlords and agents, now accounting for 52% of all deposit disputes and up 29% over the last four years. According to Imfuna, developer and provider of digital inventory app Imfuna Let, damage to property can lead to landlords being out of pocket. Only in June 2016, a landlord was faced with a £10,000 bill covering loss of rent, refurbishment and legal costs after tenants trashed his property. The landlord’s three-bed maisonette in Plymouth, Devon was littered with rubbish and faeces, had extensive mould to kitchen cupboards, damp, and all the carpets were ruined due to extensive pet damage (source: Daily Mirror, June 29 2016). 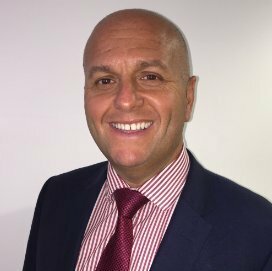 Howard Lester, Director of Balgores Property Group comments: “We conduct regular inspections on the properties we manage for landlords and have found it has reduced the number of tenant disputes by 42%. We are able to identify any property damage early on and can have discussions with the tenants to resolve issues. Pet damage is a growing problem and we have been able to quickly identify tenants that are breaking the terms of their lease by through regular inspections. Jax Kneppers, founder and CEO of Imfuna explains: “It is so important for landlords and agents to make regular property inspections so that they can identify problem tenants early. Even if tenants have been thoroughly vetted before taking the property on, it is still vitally important to record the condition of the property before the tenancy begins. “During a periodic inspection, any issues or problems with the property can be discussed openly and transparently. Tenants can be shown photos of the property before the tenancy started, then compare them with the property's current condition. Very often it is floors that receive the most damage; followed by doors, skirting and window frames; and kitchen worktops and cupboard doors. Imfuna Let streamlines the reporting process and reduces the overall process from property inspection to report generation by up to 75%. Imfuna Let can be used on current Apple or Android devices. Technology you can depend on.